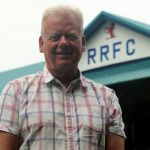 Raith Rovers benefits from a highly experienced board.Here’s an insight into their involvement with the club and their lives beyond the Rovers.Note: Board members are happy to discuss any concerns or ideas supporters have about the running of the club, and can be contacted via the main office. Born in Kirkcaldy and brought up in Dysart, Bill is a lifelong Rovers supporter. 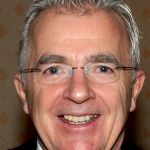 An Honours Graduate from Edinburgh University, he has had a highly successful career in education, including posts as Rector of Galashiels Academy, HM Chief Inspector of Schools (Scotland) and Director of Education in Islington, inner London. He has also been a consultant/adviser on leadership, management and improvement planning to governments in Australia, PR China, Hong Kong and the USA. He was an SFA referee from 1976 to 1994 and has been involved in school and youth football for many years. He has also made a significant financial contribution to the Rovers to assist in our goal of returning to the Championship next season. His experience and expertise will be a considerable asset to the Board as we move forward. 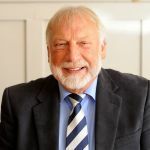 Having joined the Board as Director and Company Secretary, Bill stepped up to become Chairman in May 2018. Steven MacDonald accepted an invitation to join the Board of Raith Rovers FC in February 2019. A lifelong Rovers supporter, Steven attended as many games as possible as a youngster when he wasn’t playing for his local teams. Steven has worked in Electrical Wholesaling since leaving Balwearie High School and started working in the industry under Rovers legend Bobby Reid who was manager at Ross Electrical. 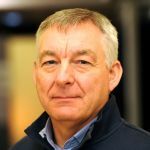 He started his own company in 1988 (SM Electrical Supplies Ltd), growing the business over the last 30+ years, winning UK Individual Wholesaler of the year in 2014 and again in 2018 (the first two time winner of the award). 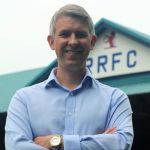 Steven’s interest in Fife football dates back to 1992 when his time with Thornton Hibs started – first of all as sponsor then Chairman for a number of very successful years. After several cup wins and league successes he left Thornton in 2005. 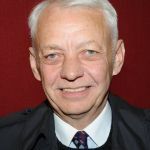 He was appointed Chairman of Glenrothes Juniors in 2006 when the Warout stadium team were the first winners of the newly formed premier league. In his spare time Steven enjoys playing golf and bowls and holidaying with his family. 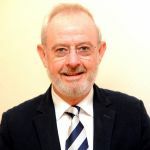 Andy Mill was elected as the nominated Supporter-Director on the Board in June 2018. Andy was brought up in Buckhaven before moving to Kirkcaldy where he attended Valley Primary then Balwearie Secondary School. An ardent Raith supporter since childhood he has for many years been involved in the 200 Club and is currently serving as Chairman. Andy retired after a 30 year career in the Fire Service serving at stations throughout Fife. When not at Starks Park he enjoys travel, walking and the occasional game of golf. Ali More is a lifelong Rovers fan brought up in Kirkcaldy. A qualified accountant by day, Ali was a key member of the successful Reclaim the Rovers campaign and was the first fans director on the board back in 2006. Tom was born and brought up in Kirkcaldy but now lives in Perth. He retired after 30 years in Financial Services and has followed the Rovers since 1956. Tom kindly offered his services to “help out” in December 2012 but was swiftly promoted in January 2013 when he joined the board as Commercial Director. He enjoys a game of golf and is the lead singer for Gaels Blue. John Sim, Kirkcaldy born, is currently Global CEO at PKF International, the global network of legally independent accountancy firms having previously held senior roles within KPMG. Operating out of Thailand, John travels extensively in his present role but still is able to take in several matches each season. He played a key role in the change of ownership which occurred at the club in 2005 and is both a significant shareholder in our holding company and majority shareholder in the company which owns Stark’s Park. David was formerly a partner in accounting firm Deloitte. He was born in Kirkcaldy, attended Kirkcaldy High School and is a lifelong fan of the Club. He was involved in negotiating the supporter led buy-out of 2005 and was briefly Chairman of the Club following the buy-out. He is also a director of Stark’s Park Properties Limited where he is responsible for developing the stadium and in the short term is overseeing the installation of a synthetic surface with a view to generating real community involvement, cutting costs and increasing revenues for the Club. Although now resident in Edinburgh with his wife Joyce, he spends a lot of time in Fife.